Location: At Pelican Island National Wildlife Refuge, off A1A, north of Wabasso. Located at Pelican Island National Wildlife Refuge, the nation's first national wildlife refuge, The Centennial Trail was dedicated on March 14, 2003 as was the focal point for the Centennial Celebration of Pelican Island and the National Wildlife Refuge System. 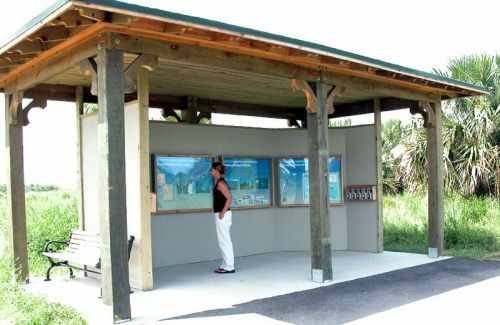 Unlike any other trail in the Refuge System, The Centennial Trail uniquely features an engraved plank for each national wildlife refuge in the country and highlights Pelican Island and the history of the Refuge System with a series of 20 interpretive panels. 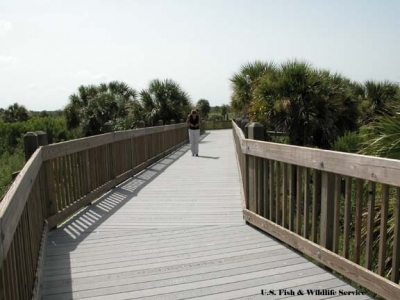 The 0.75-mile asphalt and boardwalk trail winds through newly restored upland and wetland habitats and gently inclines to an 18-foot observation tower overlooking the historic Pelican Island rookery and the expansive Indian River Lagoon. 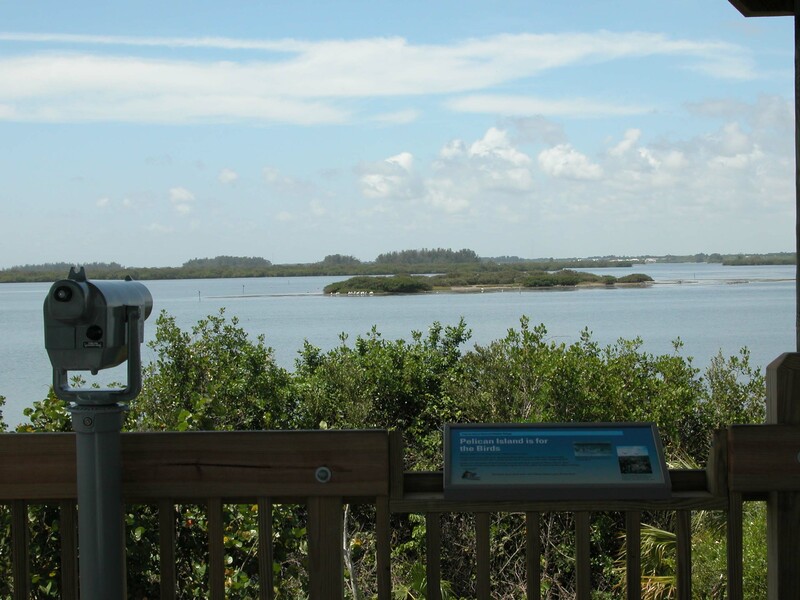 The viewpoints from the trail offer great scenic overlooks and good wildlife observation opportunities for the birds of Pelican Island, ospreys, otters, bobcats, marsh rabbits, dolphins and manatees. 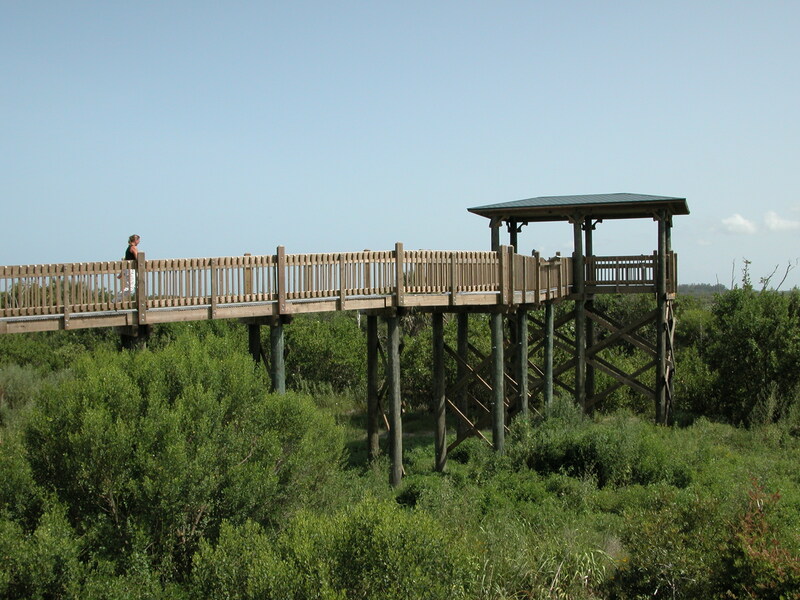 The Centennial Trail intersects the trailhead of Pete's Impoundment Trail, a 2.5 mile loop gravel foot path around a refuge salt marsh impoundment, which offers a more "backcountry" visit of the Refuge and excellent wildlife observation and photography opportunities. Boardwalk. Photo by Paul Tritaik. 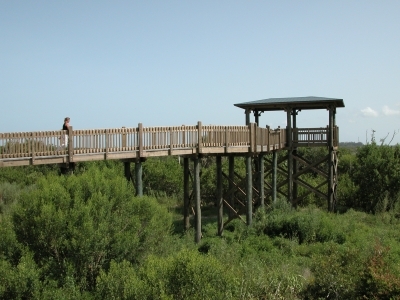 Viewing Tower. Photo by Paul Tritaik. Tower view of Pelican Island. Photo by Paul Tritaik.